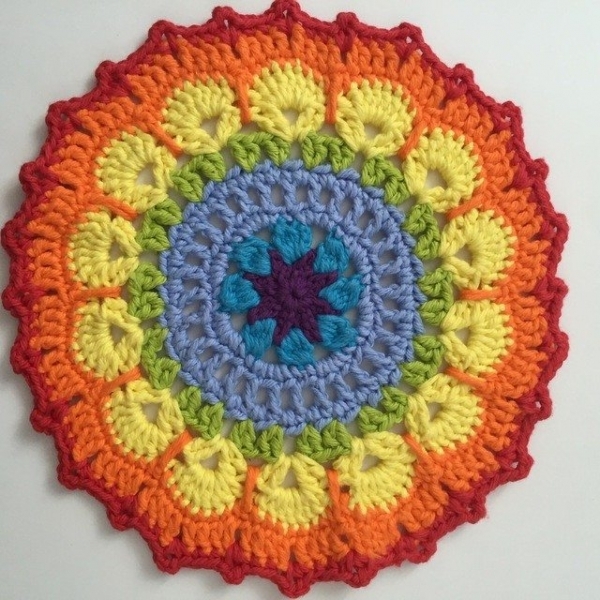 I always smile when I see crochet patterns that have the suggestion of a rainbow color palette. 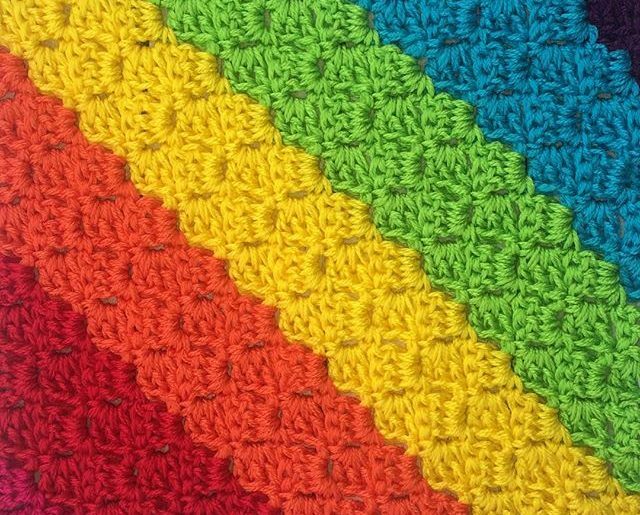 Here are ten new rainbow crochet patterns for you followed by some additional photos just for inspiration. 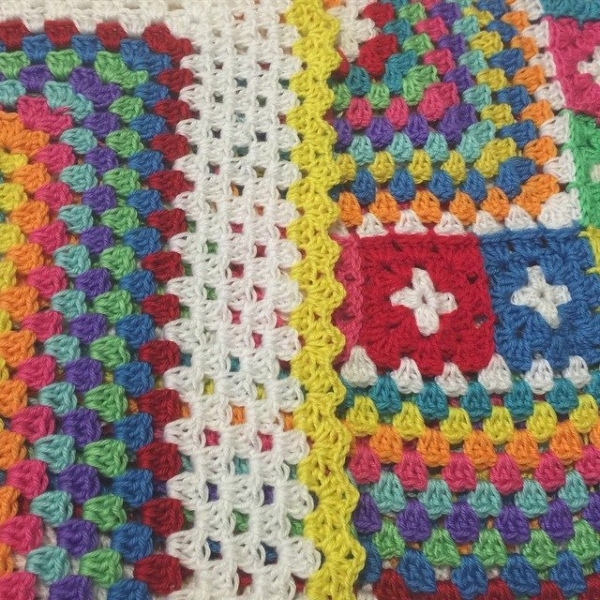 Rainbow crochet tunic free pattern @crochet_stuff. 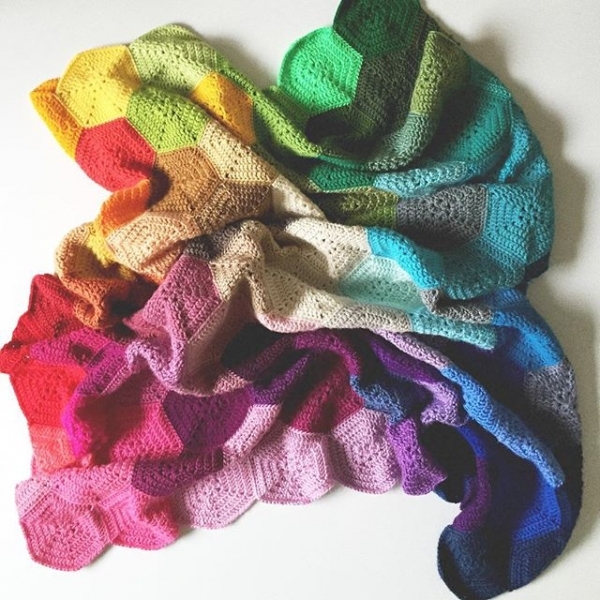 The colors of the rainbow are not in rainbow order here but they’re all represented, which gives it an updated wearable sense of style. 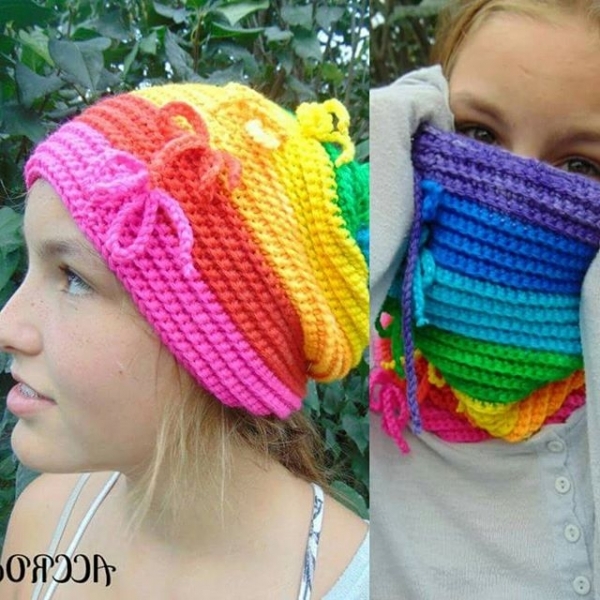 Convertible rainbow cowl hat crochet pattern for sale from ACCROchet. 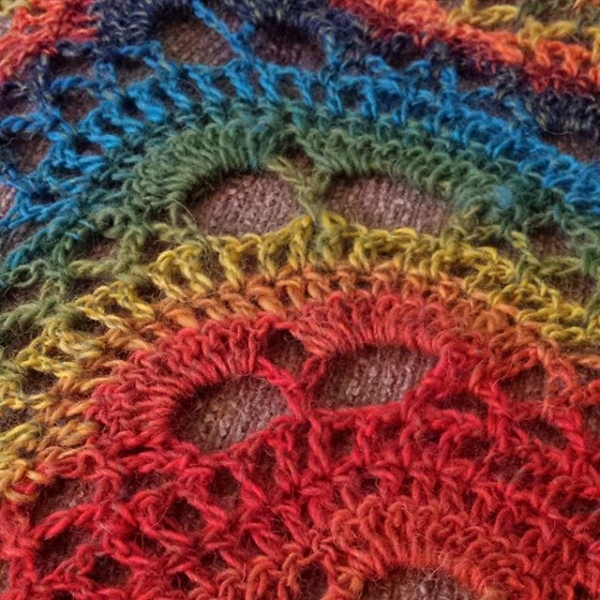 It’s always fun to play with convertible patterns that can be work multiple ways. 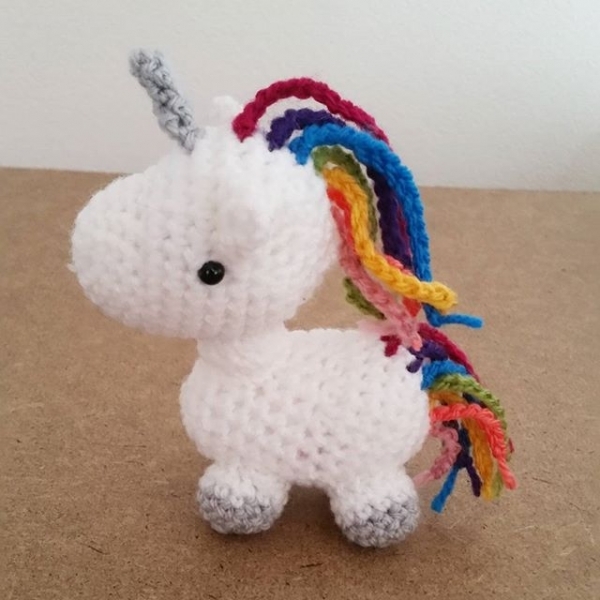 It’s even more fun when they are the colors of the rainbow! 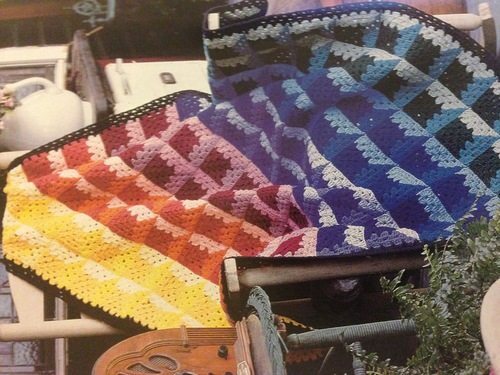 Tunisian entrelac rainbow afghan free crochet pattern by @afcap. 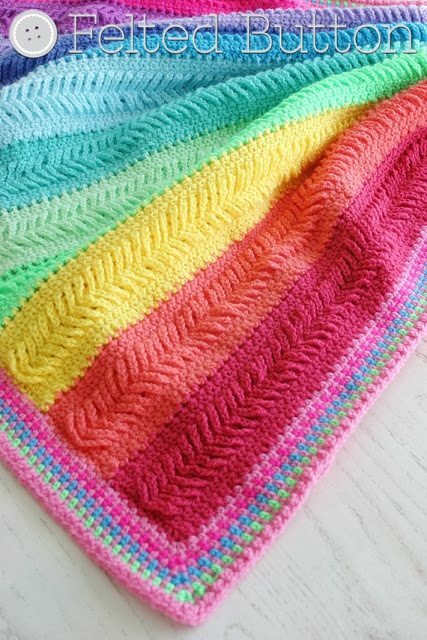 It’s so fun to crochet Tunisian entrelac (see my tutorial here) and making it in rainbow colors just adds a great twist. 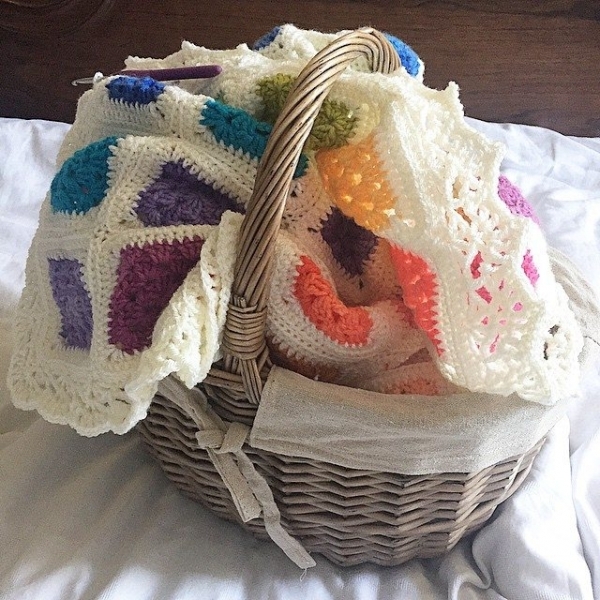 Plaited throw crochet blanket pattern for sale from @feltedbutton who always comes up with the best crochet patterns and often works them in a rainbow hue. 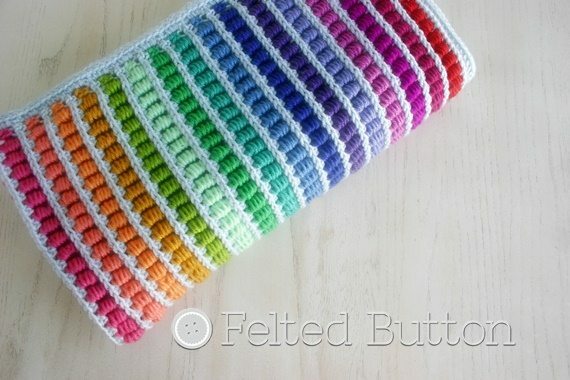 I love that this one has rainbow stripes but an edging in totally different colors. 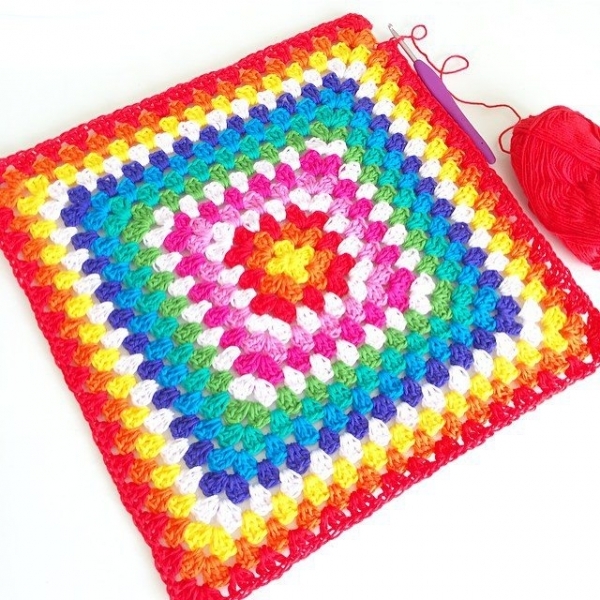 Rainbow granny square crochet blanket pattern free @redheartyarns by @jessie_athome. 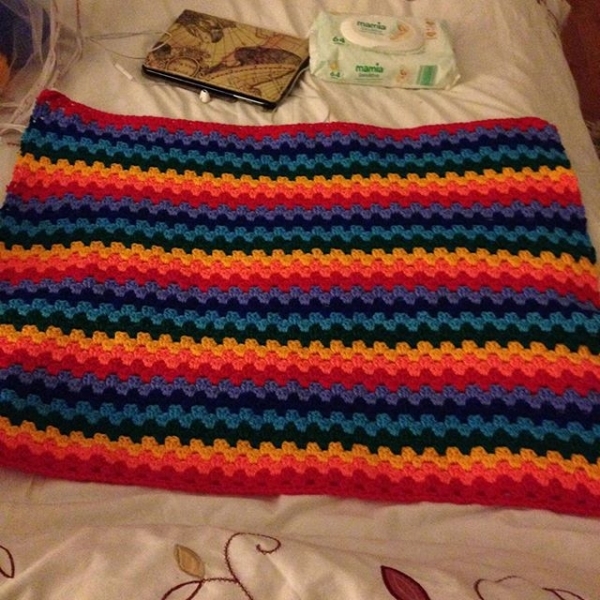 There’s not much I love more than making a large crochet granny square blanket! 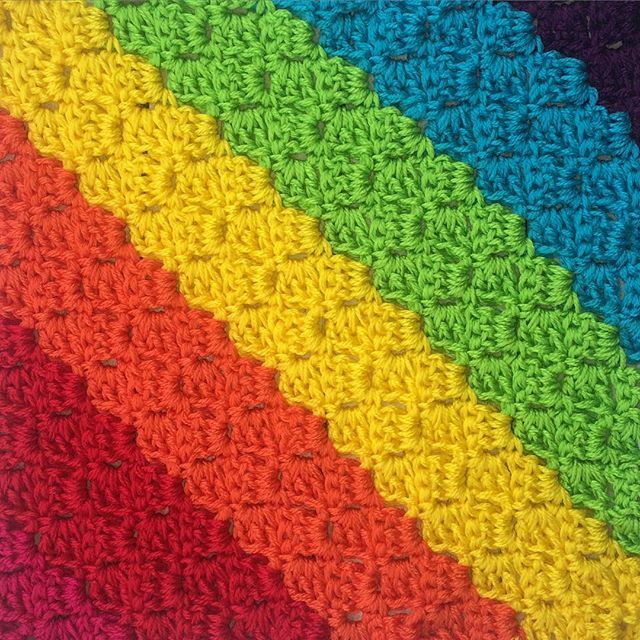 Abacus blanket crochet pattern for sale from @feltedbutton; another great example of her creative use of rainbow colors and fun stitches! 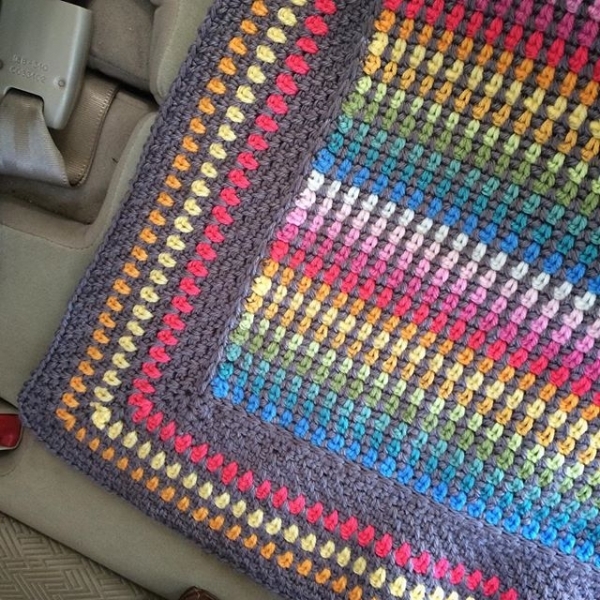 Diagonal Rainbows Corner to Corner Crochet Blanket Pattern free from @UCrafter who used a subtle rainbow palette here that I think works great with the c2c texture. 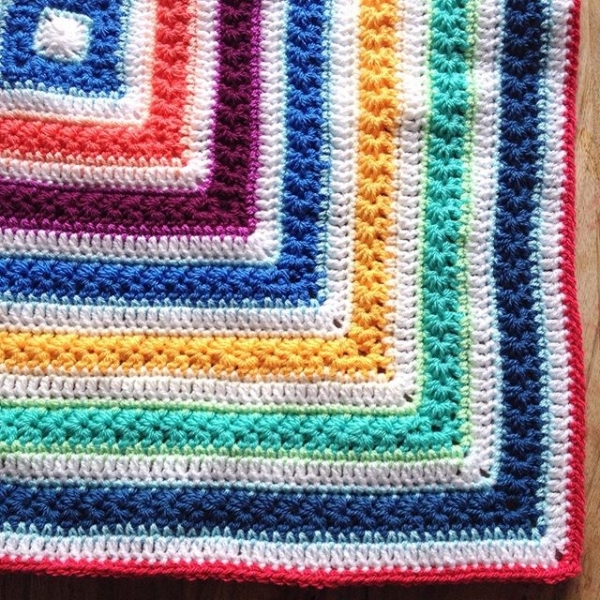 See my c2c tutorial here. 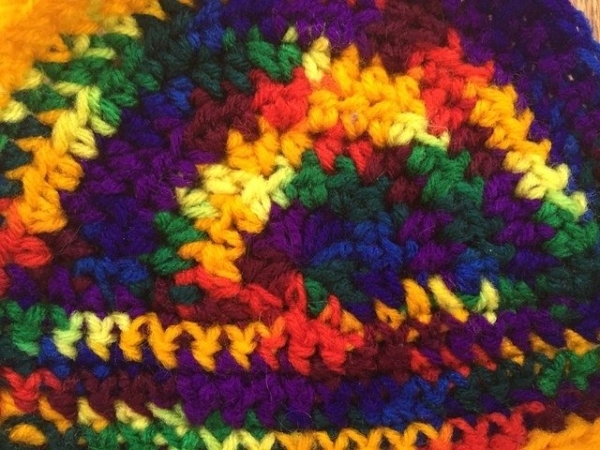 Rainbow ripple free crochet blanket pattern from @afcap, because who doesn’t love a ripple?! 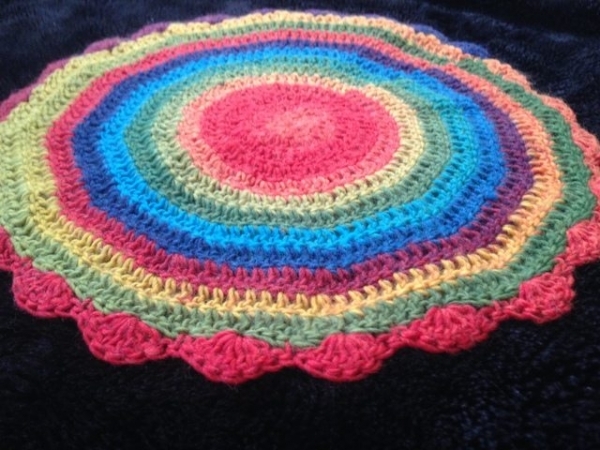 Crochet motif free pattern from Suz Place; combine a bunch of them for a rainbow motif blanket! 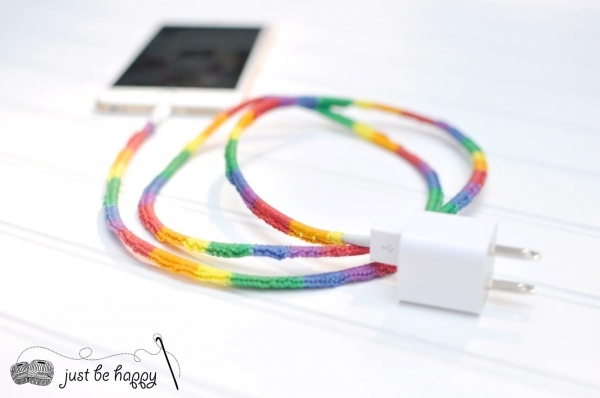 Rainbow crochet phone cord tutorial from @JBHcrochet to brighten up your devices! 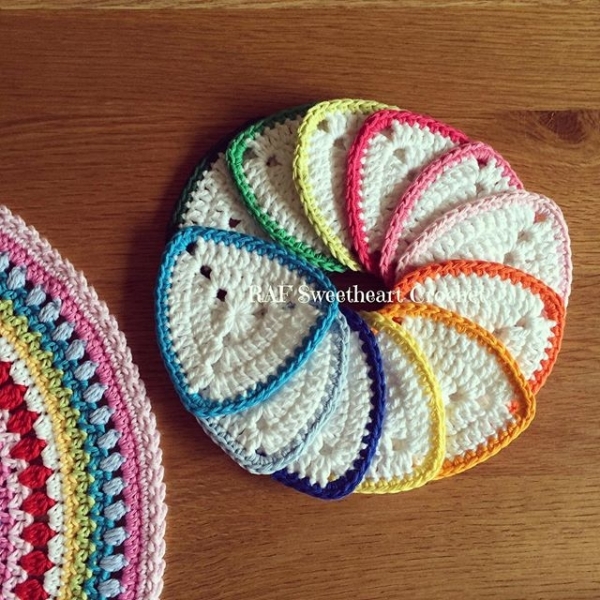 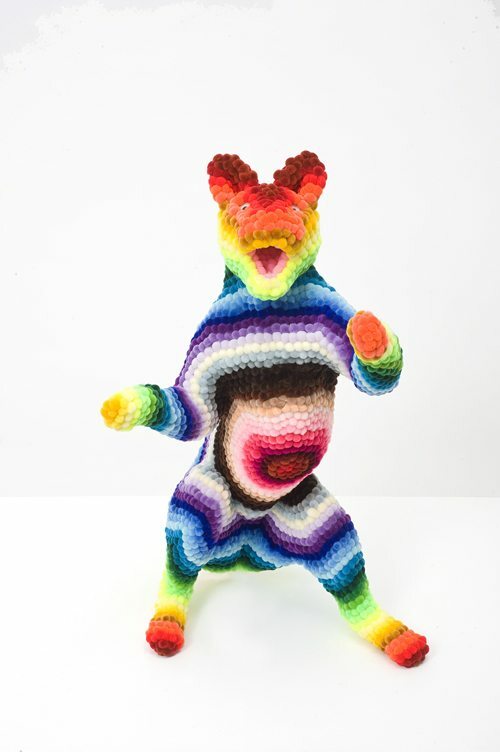 And another by @mariwish … So many ways to sprinkle the rainbow through your crochet pieces! 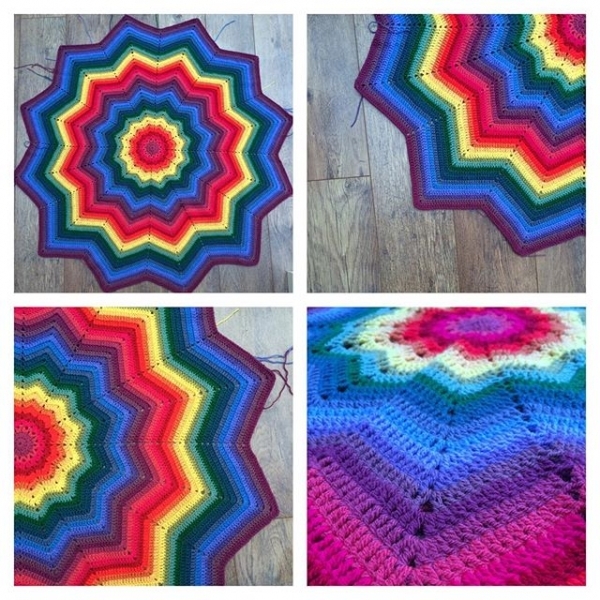 I will be pinning this page, great inspiration here. 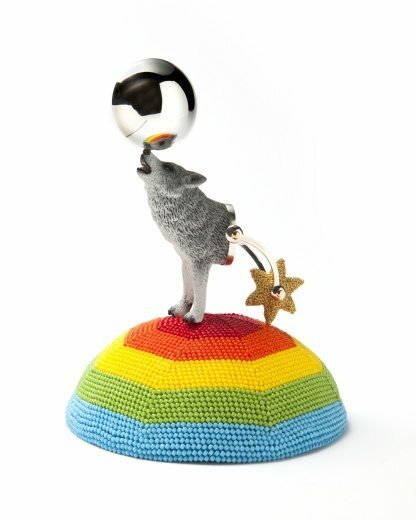 hahaha pom-dermy? 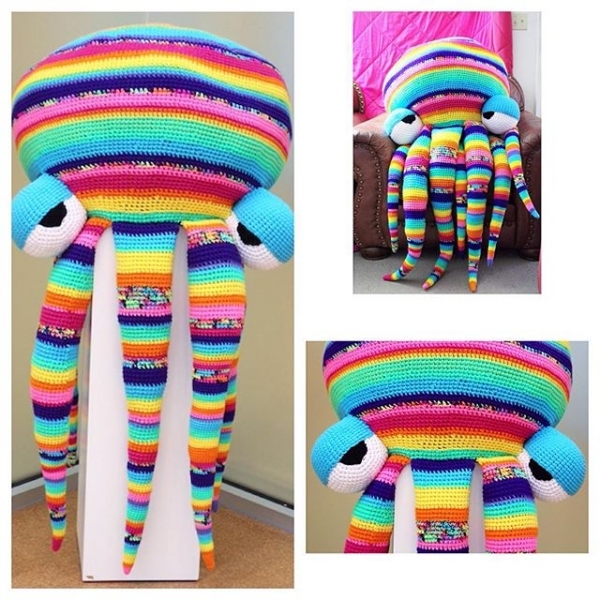 I don’t even!